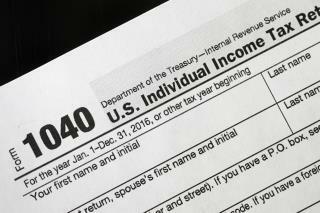 (Newser) – It's beginning to look like the IRS will never provide a free online tax-filing system for Americans, reports ProPublica. The news outlet blames heavy lobbying from the likes of TurboTax and H&R Block. A bill with bipartisan support has cleared the House Ways and Means Committee, and one of its provisions bars the IRS from creating its own electronic tax-filing system. A companion bill is moving through the Senate. That kind of a system could put a serious dent in the profits of companies that charge fees to prepare people's taxes, and Justin Elliott writes that H&R Block and TurboTax parent Intuit spent $6.6 million last year alone lobbying against such a change. Notice they didn't shut down the internet to protect brick-and-mortar stores from the Retail Apocalypse! Nothing from the Government is FREE.. And Everything Managed by the Government is InEfficient.. Plus.. Free does not equal Better.. I Bet this will not be the End of ALL Corporate Tax Lawyers.. If only 3% of the people use the free program that these software providers allow, then maybe more needs to be done to make people aware of the program. By putting out PSAs and such.